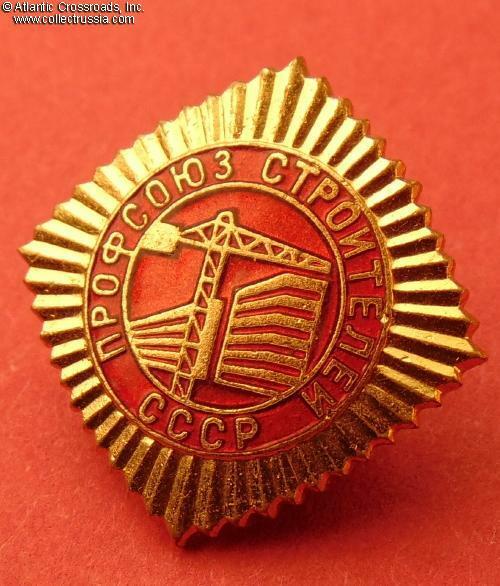 Trade Union of Construction Workers, membership badge, circa 1970s. 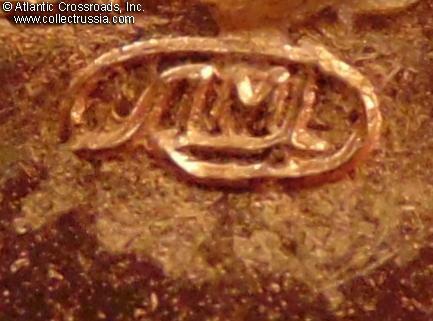 Brass, enamels; 24.4 mm tall, 24.2 mm wide. 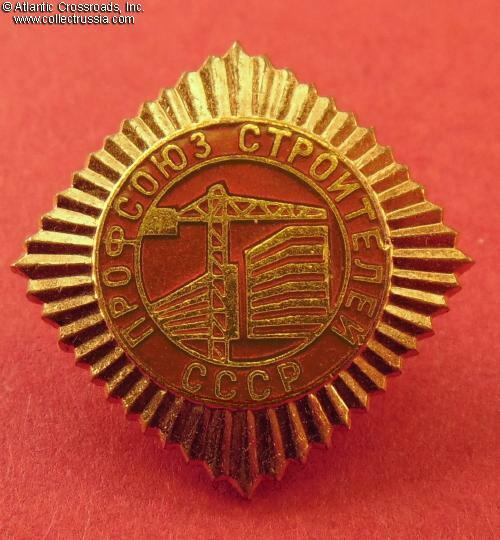 Raised Leningrad Mint logo on the reverse. 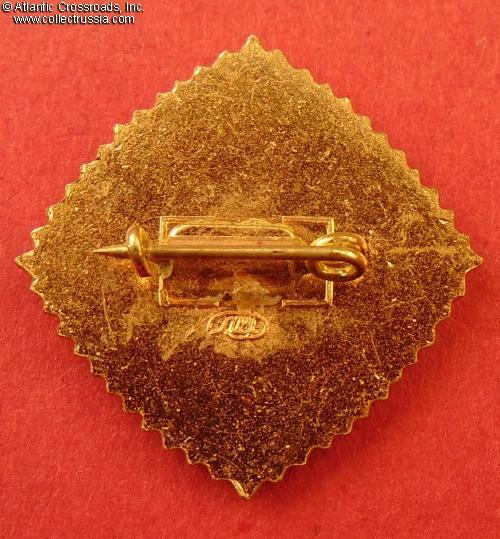 Very well made, especially for a relatively late issue badge. Excellent condition.